The following speakers will be giving lectures at the Fair. We are waiting for confirmation from more speakers. Please check out the programme page to see the details of the lectures. Aoife has been the leading vet through development and since Just Cats opened their doors in July 2014. She graduated as a vet from UCD in 2010 and moved to Canada where she had her first experiences with the idea of cat friendly veterinary medicine and cat clinics. In 2013, she returned home to Dublin with a mission, setting up Dublin's first cat only clinic - Just Cats. Since then, she has enjoyed watching and helping the clinic grow while achieving further qualifications in feline medicine through the Australia and New Zealand college of Veterinary Scientists which she achieved in 2016. Aoife has a particular interest in feline internal medicine. Aoife hadn't moved back from Canada alone; Borris is a beautiful Russian Blue who travelled home alongside her, and who enjoys being the only cat in the home. Though liking life as an only cat, Borris didn't mind too much when Aoife expanded her family in other ways; Baby Barney was born last year and she is eagerly awaiting her next arrival late this year too. 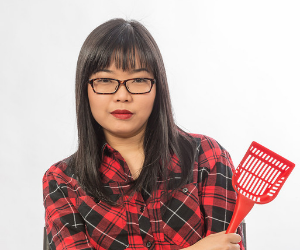 She moved from Hong Kong to Paris, then to Dublin with her current cat of 13 years. Larmlarm and Alice have travelled 10627.48km together. Fafa the cat joined the family on 2009, the day before her wedding. She owns the longest standing pet sitting business in Dublin - Maow Care, where she provides cat sitting service, behavioural therapy and workshops. She is also a Pet First Response instructor. When she is not sitting cats, she is writing about cats. You might want to follow her very popular blog about her life as a cat sitting here. She is the organiser for Dublin Cat Fair. Aideen started growing catnip for her grey tabby, Fred and soon realised what poor quality catnip is available for cat owners in Ireland. Fred’s Catnip Farm was set up by Aideen to ensure that great quality Irish catnip is available and that Irish cats and their owners get the quality catnip they deserve. Aideen lives in Offaly with her three former feral cats, Fred, Barney and Minx who all believe they live in catnip heaven! Roisin got her first cat when she was seven years old following years of pestering her mother, who is still scared of cats! Incidentally, the day the new cat, called Rachel, arrived to her new home she ran away, escaping from the car as she was not in a carrier (tut tut!). Roisin was suitably distraught, but all was well when Rachel reappeared the following day. Roisin has always wanted to be vet nurse, and a stint of work experience while in secondary school cemented the idea. She studied Veterinary Nursing in Dundalk IT, where she graduated in October 2012. 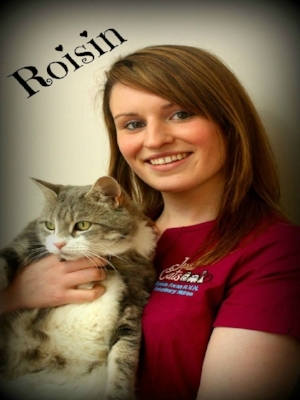 Roisin has been with Just Cats since opening in 2014 and holds a Diploma in Feline Nursing. She is also involved in promoting Cat Friendly Nursing skills to the student nurses in the various colleges. Roisin hand reared a pair of kittens soon after Just Cats opened and while one found a new home, she couldn't part with Simon, the little ginger kitty that hasn't left her side since! Julia is a veterinary surgeon, who is passionate about cats’ health. She is a registered member of the Royal College of Veterinary Surgeons in London and a member of the International Society of Feline Medicine. Julia has been working in Celbridge Veterinary Clinic since 2002 and offers veterinary house visits for cats in Dublin with the back-up of Celbridge Veterinary Clinic. House calls might help to make routine veterinary care less stressful for cats and their owners. Julia’s cat Masha is seven years old. She was a rescue kitten from a farm in Co. Kildare. Masha loves following humans around the house. She also enjoys her play-time in a back garden hunting bugs and mice. Jackie has loved cats her whole life and at the age of 5 was owned by her first cat! In her past working life she was a Legal Secretary/PA but much of her spare time was spent rescuing, fostering and TNRing cats. Jackie took an opportunity to follow her dreams and returned to college where she acquired a QQI Level 5 in Veterinary Assisting and a QQI Level 6 in Animal Science. She is a Canine First Aid Responder and is trained to give medication, clip nails etc. Jackie set up Cat Sitter At Home which she now runs as a full time business in the Dublin area. Jackie has always been passionate about TNR (Trap, Neuter and Release) and has volunteered with various cat charities, including Cats’ Aid Dublin, on their TNR programme. She has also fostered adult cats and kittens both on her own and for Cats’ Aid Dublin. Jackie now lives with three rescue cats, one of whom, Stevie Wonder, is blind. Sinnead graduated from UCD as a vet in 2000 and after spending a short time in mixed practice in Carlow she went to England where she spent 5 years working in a small animal hospital in Devon. She came back to Ireland in 2005 to pursue her passion for horses, working first as an assistant and then setting up her own equine practice in Tipperary in 2009. She completed her UCD Post Graduate Certificate in 2013 in Equine Sports Medicine. 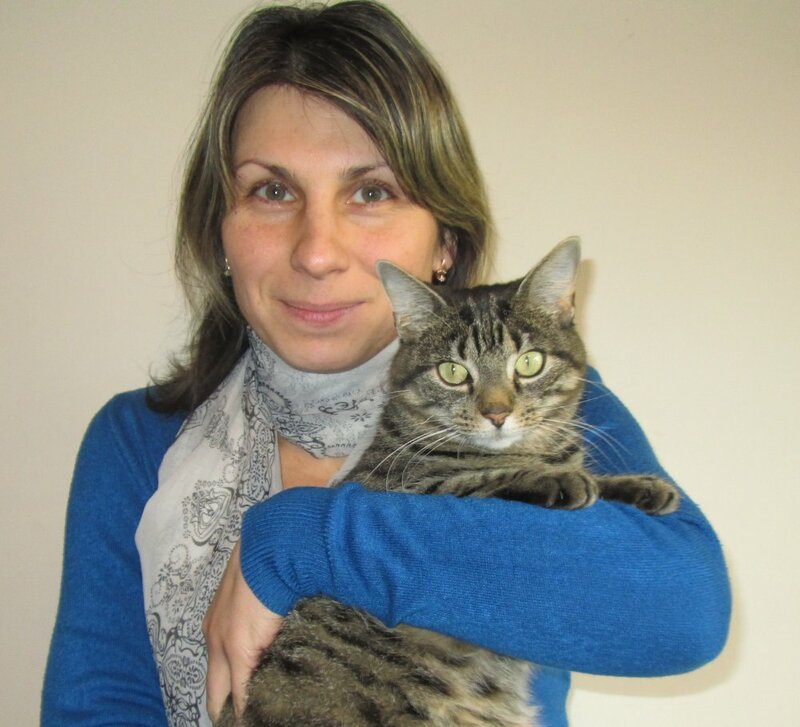 In 2014 she joined Interchem as the small animal territory manager and veterinary technical advisor where she has focused on training and CPD of staff and clients particularly in the areas of clinical nutrition, behaviour and cardiology. She is the current President of the Mid-Western Veterinary Clinical Society and is studying in UCC for a Masters in Epidemiology and Public Health. In her spare time she is an avid cyclist and loves to run with her 2 dogs Rio and Ringo.